Qube! Installer: An easy-to-use installation wizard and distribution utility for Qube! Qube! installation has never been easier. No more downloading from ftp, no more determining compatibility, no more keeping track of component installation files. With Qube!’s new installation utility, a simple wizard will allow you to select the computer’s role then it will download all the required software and handle the installation and/or upgrade for you. When installation is complete, a “kickstart” file is created that will allow that same installation to be replicated across your facility. As with all PipelineFX software, the Qube! Installer is completely cross platform, working with, not over, OS-native installation utilities. Already have a home-built solution for Qube! software distribution? No problem. The Qube! Installer works with our existing installation architecture. If you choose not you use it, you can install/upgrade the same way you always have. Various bug fixes relating to supervisor installation on Windows. Add button to the "finished" page to remove all Qube DB data and DB Server software. Add current user as Qube Admin. Properly update Data Relay Agent (DRA) configuration file when installing DRA. Added support for properly checking the installed version of Perl on Windows (Perl v5.14, v5.16, or v5.26). 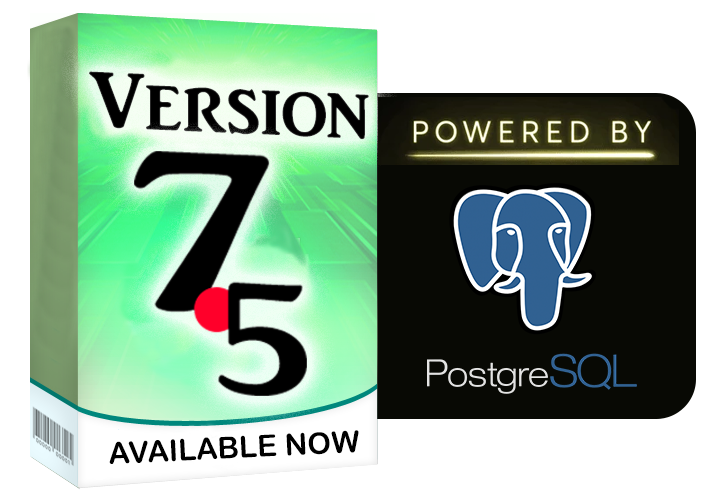 First ever version of the Installer shipped with Postgres - manages Postgres installation and related tasks. This version is required for installation of Qube! 7.0-0. CAREFUL - Use the Installer when upgrading an existing MySQL database to Qube! 7.0-0 with Postgres. First ever use of file extension (.qmx) for Qube! manifests, replacing the (.qmf) file extension. Includes the option to install the compiled Metered Licensing Agent (MLA) which is a requirement to use Qube! Metered Licensing. Addition of the License Agreement Addendum to cover terms and usage of Metered Licensing. During installation of the MLA, the following will be created: cron jobs on Linux OS's, launchd jobs on OS X, and Scheduled Tasks on Windows. Self-update & relaunch – the installer now knows when it’s out of date. Http rather than ftp downloads – for those secure facilities that block all inbound/outbound ftp. Use a kickstart file in the GUI. “Download Only” option can download Qube software for any/all OS(s) from one computer. Worker mode selection (service mode or desktop-user mode) during install. Worker mode will be stored in kickstart file so all subsequent installs will start the same way w/o any additional configuration. Notification of and the ability to update using a newer manifest file if the copy in the PFX Internet repository is newer than the local copy. The user who installs the supervisor will automatically become a Qube administrator. Versions 2.0 and 2.1 will only work for Qube! versions earlier than 6.9-0. If you want to download and install the 6.9-0 release of Qube!, you will need to upgrade to Installer Version 3.0. Clicking the above link will bring you to a webpage that will download a compressed file. In that compressed file you will find a “TeamViewer QuickSupport” executable. Running the executable will give you an ID and a password. With this information, a PipelineFX support engineer can connect directly to your computer to help troubleshoot any issues you may have. This QuickSupport application requires no installation or special privileges, but can be run directly from the download. If you have security concerns, please note that we will not be able to access your system unless you provide us with the ID and password that will display when you start the QuickSupport application. A different password will be generated each time you run the application.